This table contains all of the meeting records with this Cliennt / Supplier. 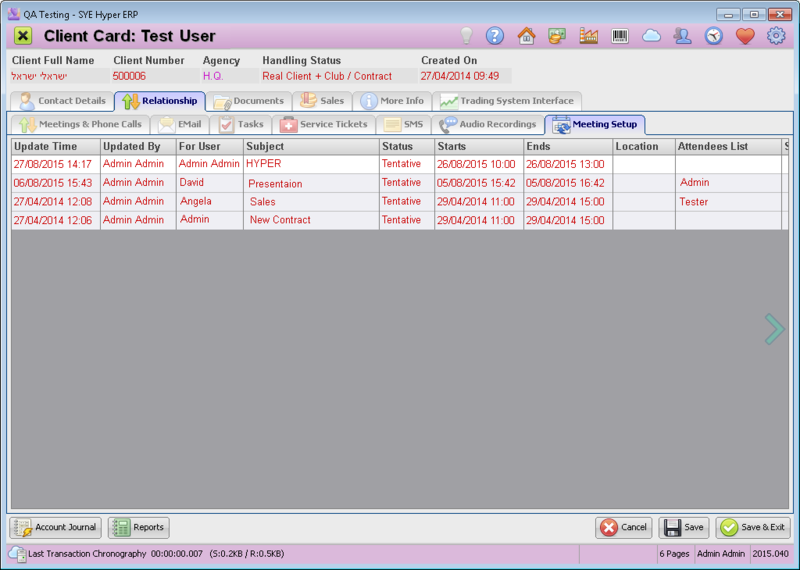 Double click on a meeting to open its card. For further information about creating a new meeting, Click here.